Cinema tickets are so expensive nowadays, especially the snacks and popcorn on top. Why not just pop down the shops and buy a new film and a couple of snacks which will save you money in the long run. Alternatively, you can rent a film on Sky or download one on Netflix or anything else. How about cooking food or ordering a takeaway and eating it in the comfort of your own home? You cant eat food in your pyjamas or joggers in a restaurant but you can at home and save money whilst doing so. You can watch what you want, or if you still want that romantic meal you could freshen up your dinning table, buy some candles and there you go, all done. A romantic walk is a great way to catch up with each other. If you both work and have children then it can be pretty tough to get a good chat with your partner without anybody interrupting you. This can also be a great way to bond by talking about how each other met, old memories together and more. 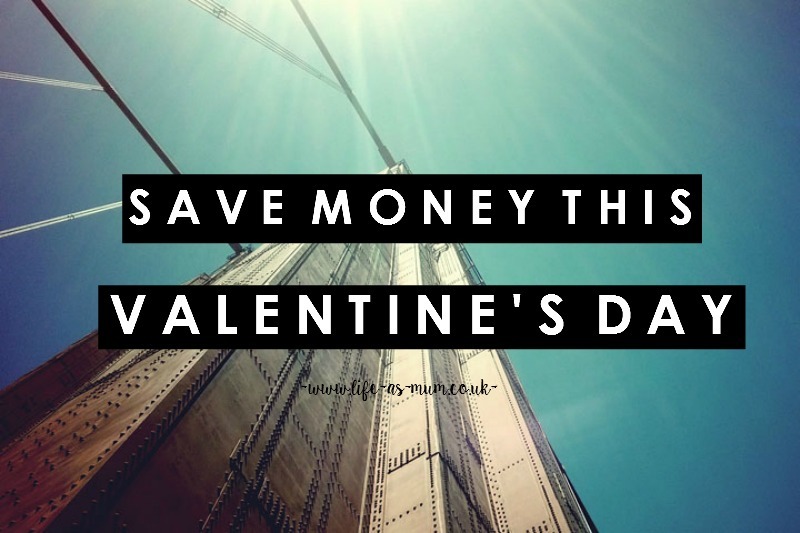 If you are really tight on money, you could have a chat with your partner and hopefully both of you agree on just buying or making each other a Valentines Day card and no presents. At the end of the day, it's the thought that counts doesn't it? * This post was originally posted on the 13th February 2014 but I have edited and changed a few paragraphs.